The article deals with the conceptual representations of nomination, the origins of the term “cultural industries”, presents the evolution of views on nature, the meaning of this phenomenon, starting with the linguistic context and ending with the role of modern creative technologies. The article presents the results of monitoring the materials of the “Day” newspaper (July-December 2018) related to various spheres of cultural industries, accompanied by relevant interpretations and comments. An attempt is made to determine the prognoses for further realization of the sphere of creative industries in Ukrainian realities. The article reveals the peculiarities of the representation of women from the fields of volunteering, defense and journalism during the socio-political and military events of 2013–2018 on the basis of Ukrainian media. For the first time, women’s participation in volunteer, defensive and journalistic activities during the Revolution of Dignity, the annexation of the Autonomous Republic of Crimea and the ATO was analyzed and typologized. To achieve the aim of the research, methods of monitoring, content analysis and auxiliary methods of comparison, analysis, synthesis, generalization, as well as typology method were used. On the basis of the analysis of Ukrainian media materials, features of the representation of women’s participation in volunteer, defense and journalistic activities during the sociopolitical and military events of 2013-2018 were identified, which were typologized into three groups – volunteering, defense, journalism – with further division into subgroups. In the article there are the attempts to explore a fragment of the language picture of the world of Ukrainians, presented by the type the media as radio, to identify the most relevant concepts associated with it. The tool for the study was a free associative experiment with the help of which formed the associative field of the word-stimulus of RADIO, identified the main semantic fields of the field, to analyze its structure, etc. Radio for the majority of respondents is for listening to music (108 reactions), and only 32 reactions indicate the radio as a source of information. The reactions of the associative field showed that in the minds of respondents, radio is associated as traditional, which is listened mainly through the radio, not through the Internet (digital radio). Modern researchers view the travelogue as a meta-genre that synthesizes various genre formations and accumulates their elements. The majority of scientists consider the travelogue to be a literary publicistic text. However, scientific documentary facts and the image of a real path take an important place in such texts. Therefore, there is a need to conduct a deep analysis of travelogue genre features and to highlight the genre’s tilt towards documentary journalism. The aim of the article is to determine the representativeness of genre features of guidebooks and travelogues. The great focus is placed upon distinguishing the genre features of the identified genre units. It is determined that guidebooks are notably characterized by their factual nature, documentary detailing, lack of imagery and consistent continuous reflection of the way the traveler moves. It is proved that travelogues also display the fundamental features of guidebooks – factual nature and movement along a defined travel path. It is explained that besides having guidebook features, travelogues also necessarily have a publicity reflection of reality and author’s presence. These particular features indicate the difference between the genres under consideration. Key words: path, guidebook, travelogue, genre features, publicicity. The aim of the article is to determine the content characteristics of the factual content of the travelogue. It has been found out that the reproduction of the real facts, primarily documentary, statistical images, which are often supplemented by visual ones prevail in the text of the travelogue. It is proved that the facts in the travelogue can acquire the characteristics of subjective author’s interpretation, and the grouping of the facts depends on the content. It is explained that the principle of documentary in the text of the travelogue is combined with the author’s intentions in understanding the facts, and the journalistic generalization of the perceived factual information is transmitted in the form of author’s judgments, generalizations, and conclusions. It has been established that the content of the travelogue is saturated at the same time with facts, documentary imagery, informativity, and the processing of factual content is determined by the author’s intentions and genre features of the travelogue. 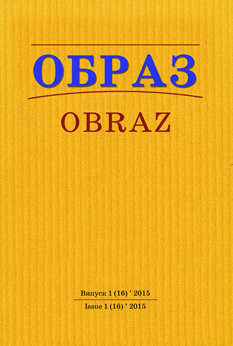 The article highlights the publications of local lore and historical subjects in the Ternopil press of 2000-2005 (the newspapers «Vilne zhyttia», «Svoboda», «Ternopil Vechirnii»). The study investigates their periodicity, identifies the sub-themes and considers them as a thematic niche of regional mass media. As a result of the analysis, the article determines the number of prints on the specified subject and outlines their role in printed media of Ternopil region as a component of the historical studies. Results. 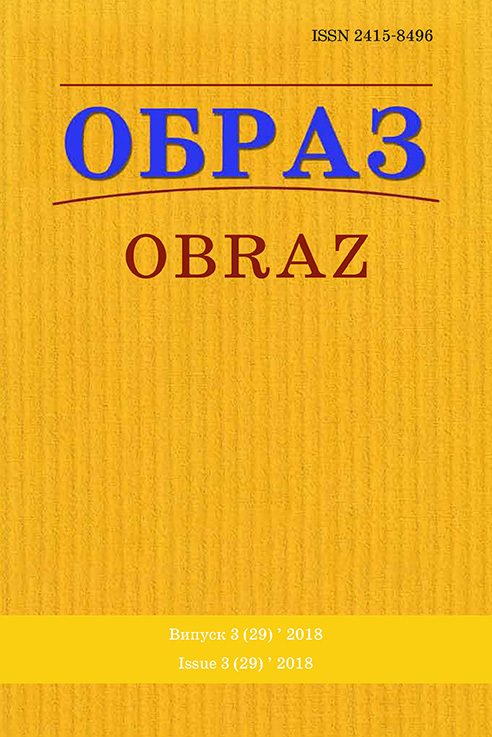 The materials written by different authors in various genres, including short articles, reports, correspondence, interviews, articles and others, prevail in the publications with the historical and local lore content found in such issues as «Vilne zhyttia», «Svoboda», «Ternopil Vechirnii». Based on the analysis of local lore historical publications in Ternopil region periodicals one may state that they, as a whole, are a separate source array for studying local history. The increase of threats to journalistic activity and the considerable violation of the rights of media people in Ukraine defines the relevance of researching the criminal legislation in terms of the observance of journalists’ rights and freedoms. The aim of the article is to investigate the existing rights and freedoms of journalists in the context of the Criminal Code of Ukraine. The methodological basis implies the use of the methods of analysis, synthesis and system approach; historical method; methods of comparison and generalization. The research has revealed that 2015–2016 had seen an increase in the criminal law protection of the rights and freedoms of journalists resulting from changes and amendments in the Criminal code of Ukraine. The violation of the right for journalists to conduct professional activity leads to criminal liability under Article 171 of the Criminal Code of Ukraine. Crimes against journalists are singled out into a separate type of crimes. The improvement of Ukraine’s positions in international rankings “Reporters without borders” and Freedom House in 2016–2017 indicates that the increased protection of the rights and freedoms of journalists, following the separation of crimes against them into an individual type on the legislative level, has had a positive influence on the freedom of speech. Urgency of the research is determined by necessity to study scientific projected research as a social communicational phenomenon. Purpose of the article – to explain the importance of research projects in context of creating a positive image of higher education. Results of scientific intelligence are summarized where social communicational practices of higher education institution imageology are discussed and emphasize that research projects of social communicational discourse have not enough attention. The main components of scientific research which are basics of the formation of high education institutions image are defined and it is reviewed on the example of Sumy State University’s work which consistently holds high positions in international and domestic rating systems. The goal of the article is the analysis of the foreign experience of specialists’ preparations in the public relations sphere in the higher school which can be used for the Ukrainian standard of PR education creation. The topicality of the research stipulates the necessity of positions reasoning in the public relations as scientific and educational directions in Ukraine. Some important aspects of American, European, Asian and Arabian-Muslim standards of the higher education in the public relations sphere are considered. The key points have been selected that should be taken during creating its own standard: cultural and historical and regional context, integrative and interdisciplinary basis of educational standards, developing the scientific school of PR, synthesis of traditional and innovative methods of studying, material and financial support of the educational process. Based on Ukrainian political video advertising of snap elections in 2007 and 2014, the article defines value dynamics of Ukrainian political video advertising and states transformation of dominant values in these commercials. 138 video commercialsof eleven political parties and blocs were considered in the course of the study. Executed work has made it possible to trace changes in value priorities. So, social order and stability, social justice, caring for the weaker ones were the dominant values in 2007. In 2014 an appeal to national security comes to the fore. Quantitative indicators suggest that Ukrainian society most needed protection on the global scale – not only protection of the family, but protection of the whole nation. Also we observe hefty increase in appeals to peace, novelty and change in life. Appeals to values of self-esteem and freedom disappear, instead we observe appeals to wisdom, social force and respect for the opinions of other people. Key words: video advertising, dominant values, media support, agitation, visual images.